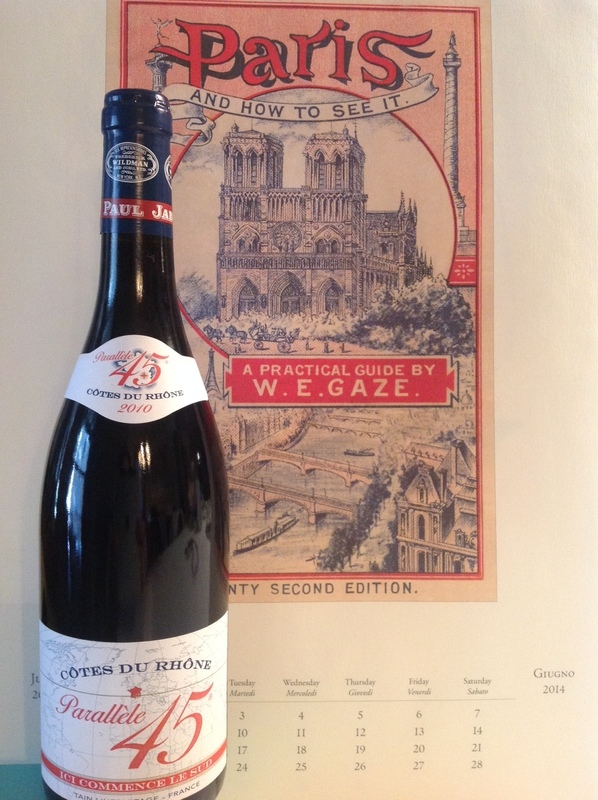 We discovered this wine in Paris, on our honeymoon. We were out for pizza (Parisian style, with smoked salmon and crème fraîche), and I asked the waiter if the Côtes du Rhône I spotted on the menu was any good. Yeah, that was a huge mistake. I only asked because I’d never heard of Côtes du Rhône, and it was so cheap. Less expensive than what Mike paid for a Coke at a cafe near Notre Dame. The waiter was right, though. It was good. So good that we bought a couple of bottles at the market near our hotel to bring home, and have sought out Côtes du Rhône in restaurants since. We found the bottle pictured above at the Lincoln Park Whole Foods Market a few months ago. We were married near the 45th parallel in Michigan in 2011, so were excited to find a 45th parallel Côtes du Rhône. I’m keeping an eye out for our wedding year vintage, and plan to buy a bottle … or 12. Learn more about Côtes du Rhône here.